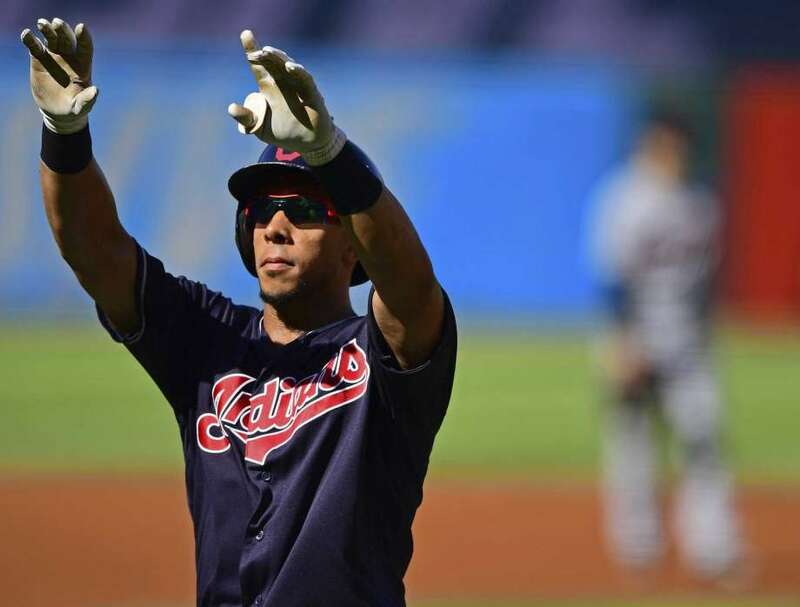 Indians Potential Free Agent Michael Brantley On Possibly His Last Game in Cleveland - "It's Been an Honor"
CLEVELAND – With the final out of 2018 in the books, the questions about what is next for the Cleveland Indians and the teams’ roster for 2019 will start to pour in. Potentially the biggest question will have to do with outfielder Michael Brantley, who returned to being an All-Star in 2018, hitting .309 with 17 homers and 76 RBI. Brantley is a free agent, and his future just like that of relief pitcher Cody Allen and Andrew Miller are very much in doubt for the Indians and if he will be in a Tribe uniform in 2019. When asked about the future, Brantley was blunt in stating that it’s been something he most certainly has thought about. “I’ve thought about it, at the same time I have a lot of thinking to do, I have to talk to my family, there’s guys in this room still to talk to, and we will go from there, you never know what is going to happen,” Brantley said. Maybe the most difficult moment in the clubhouse after the 11-3 season ending loss to the Astros was hearing Brantley’s answer when asked what he will take away from his time with the franchise, an organization that has been his home since 2009 when he was just 22 years old. “It’s been an honor, it’s been an honor to wear that uniform,” Brantley said. In his 10 seasons with the Indians since being the famous ‘player to be named later’ in the C.C. Sabathia deal that sent him to the Milwaukee Brewers, Brantley hit for a career average of .295 with 87 homers and 528 RBI. At now 31 years old, there’s no doubt he’s got plenty left, but the question will be if it will be playing in an Indians uniform in 2019 and beyond.